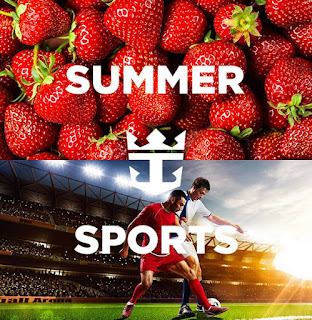 Changes to Dining onboard Anthem of the Seas & Extra Treats on Oasis, Allure and Harmony of the Seas! Guests will receive onboard credit for the retail value of their complimentary meal loaded onto their accounts, and their beverage option will be delivered to their stateroom on day one, but they must reserve their own casino lesson or rock climbing lessons. 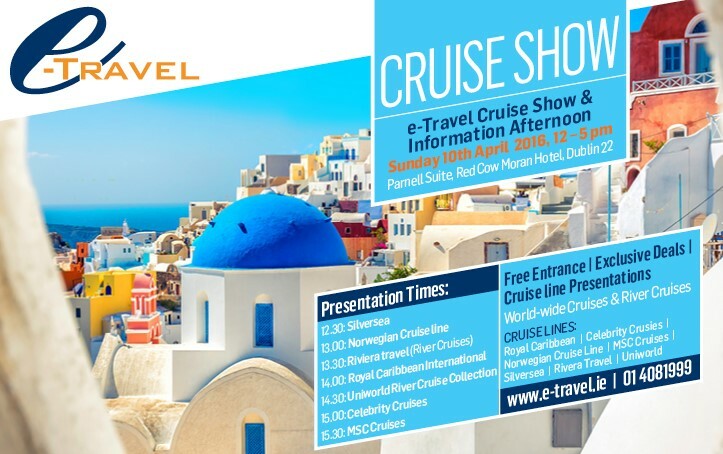 Details of how to do so will be delivered in their welcome letter on the first day of their cruise. 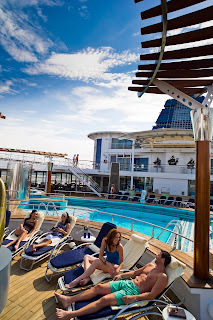 Updates to Royal Caribbean Ships! 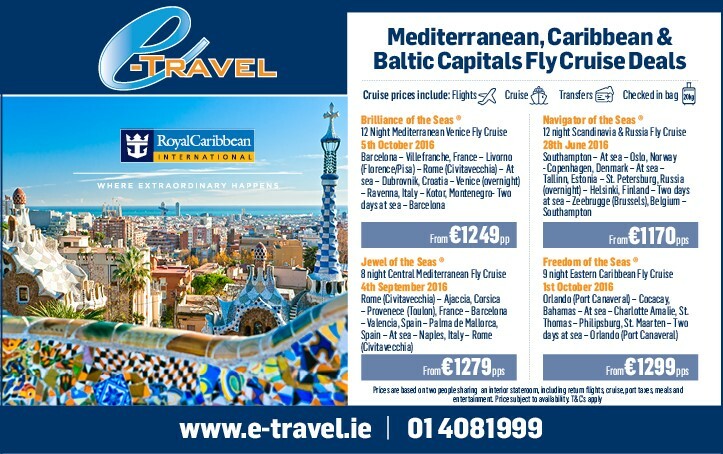 IT’S GAME ON FOR THE EUROS THIS SUMMER! Royal Caribbean are bringing some of the world’s biggest and best international sporting events to Independence and Navigator of the Seas® this summer, so you don’t have to miss a moment of the action while enjoying your extraordinary Royal Caribbean holiday. 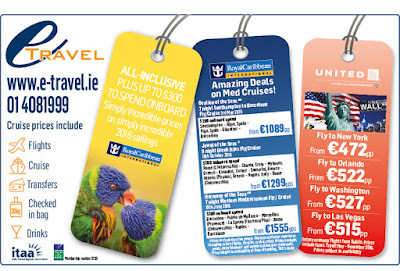 Royal Caribbean Deals NOT to be missed! 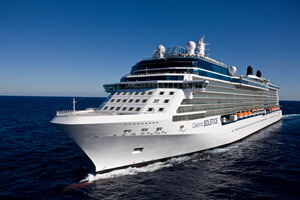 This week's Celebrity Cruise deals! 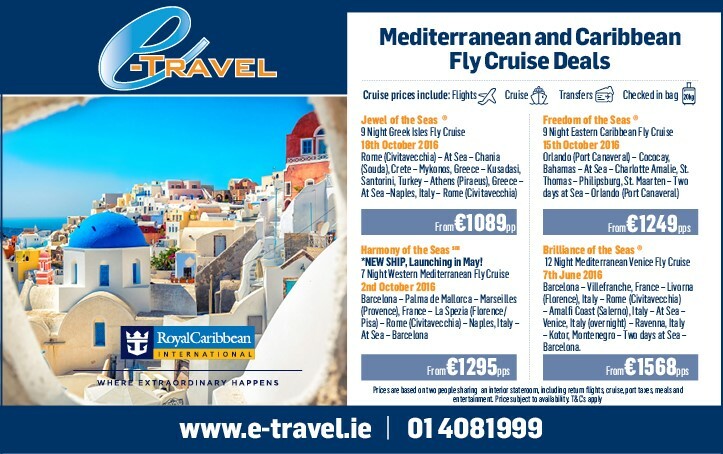 Royal Caribbean Mediterranean and Caribbean Deals! €123 per person per day including flights !! all meals !! 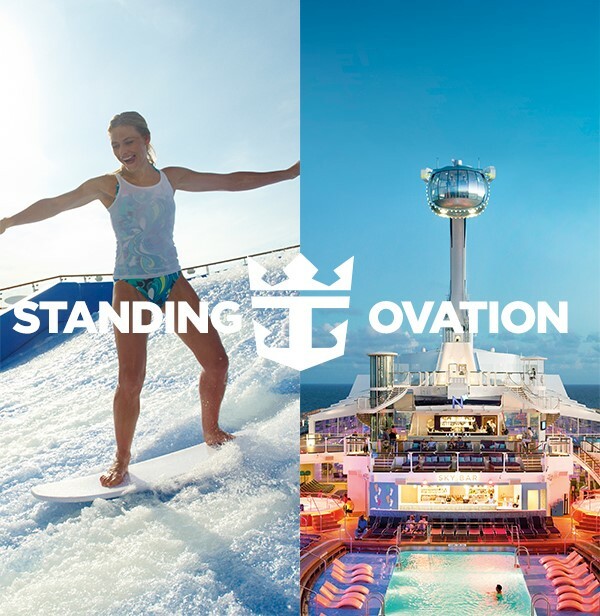 We are so excited to welcome Royal Caribbean's latest, most extraordinary ship to the Royal Caribbean fleet—Ovation of the SeasSM. Making her debut in Southampton yesterday, before sailing to her home port in Asia, Ovation of the Seas℠ is the latest ship to join Royal Caribbean's groundbreaking Quantum Class. She boasts incredible features such as the sensational North Star℠ viewing capsule, the thrilling RipCord by iFLY® skydiving simulator, SeaPlex—home to the first-ever dodgems at sea—and Bionic Bar, where cocktails are mixed to perfection by robotic barmen. 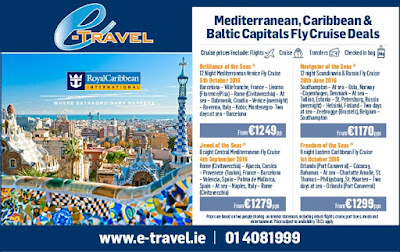 You can experience all this and more sailing straight out of Southampton, when Ovation of the Seas℠ sails for a handful of exclusive European sailings, before setting off for the magical shores of Asia. 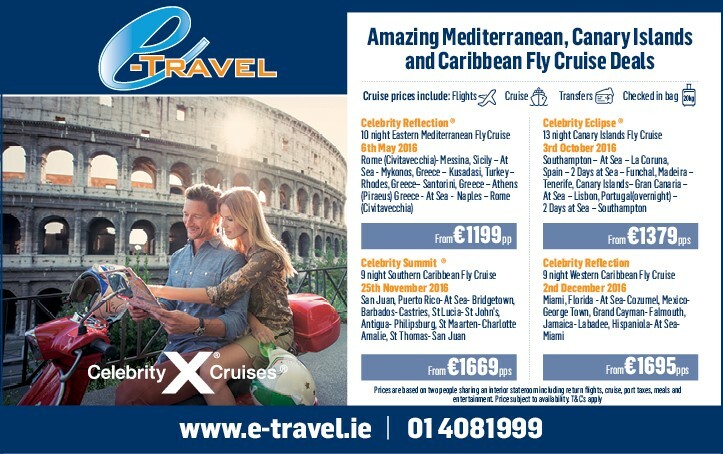 You can choose from an incredible 5-night France, Belgium and Spain sailing, a 7-night France and Spain sailing and a 7-night Southampton to Barcelona sailing as part of her exhilarating Global Odyssey. 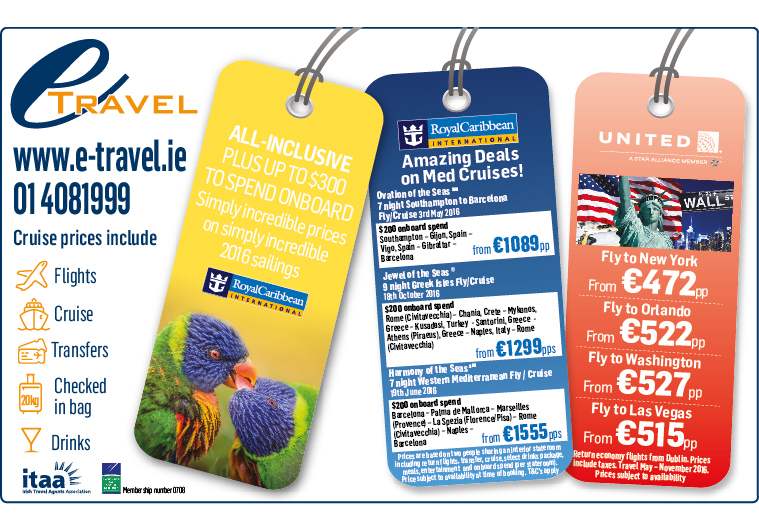 For more details on sailings and prices, call our cruise department on 01 4081999. Cruise Information Afternoon the Sunday! It seems incredible that although Spain is one of the most visited countries on earth, vast swathes of it are hardly known at all. But during the past few years its more historic and scenic aspects have been brought to the attention of the discerning traveller. For many centuries Spain did not really exist as a nation state, being more a collection of countries such as Aragon, Castille, Cantabria and of course, Catalonia. Often separated by high mountain ranges, they evolved independently, becoming strikingly different with even their own languages. e-Travel are delighted to work with Riveria Travel in bringing you the best European River Cruise Deals. 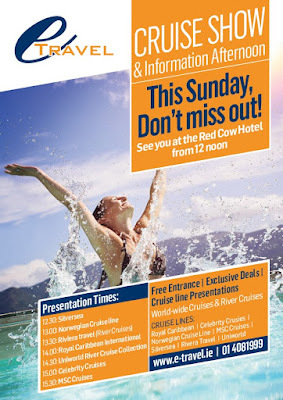 Call our cruise department on 01 4081999 for more details. 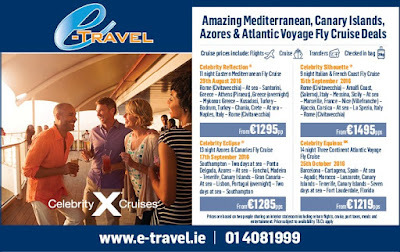 Prices include return flights, transfers, cruise and all taxes. Call our cruise team today on 01 4081999. Romantic Road, the twisting streets of medieval Bamberg, enchanting Rothenburg and Roman Regensburg. Middle deck (French balcony) From €2279 fly from DUB. From Paris we slip our moorings and commence our wonderfully scenic cruise along the beautiful and majestic Seine into the heart of one of France's most historic and picturesque regions, Normandy. Includes Flights from Dublin , Return Transfers, Taxes, Checked in Bag ( 15Kg) , Full board and all excursions .